I'm getting this post off to a late start today and to be honest, I wasn't even going to write anything today until I read a great post from my friend Rebecca Jo who blogs at Press on and Run. She inspired me as she talked about running her first 5K of the year. You should go ahead and read her blog. One thing I love about Disney races and Rock n Roll races are the fun finisher certificates that you can print out after the race. Each year they seem to be a different design. I have started to hang them up on my race wall in my dressing room. I haven't taken an updated picture of my race wall for a while, but you can see the last picture I posted HERE. Anyway, I have been stalking the Run Disney results page since after marathon weekend waiting for the finisher certificates to become available. Yesterday I finally saw that they were. 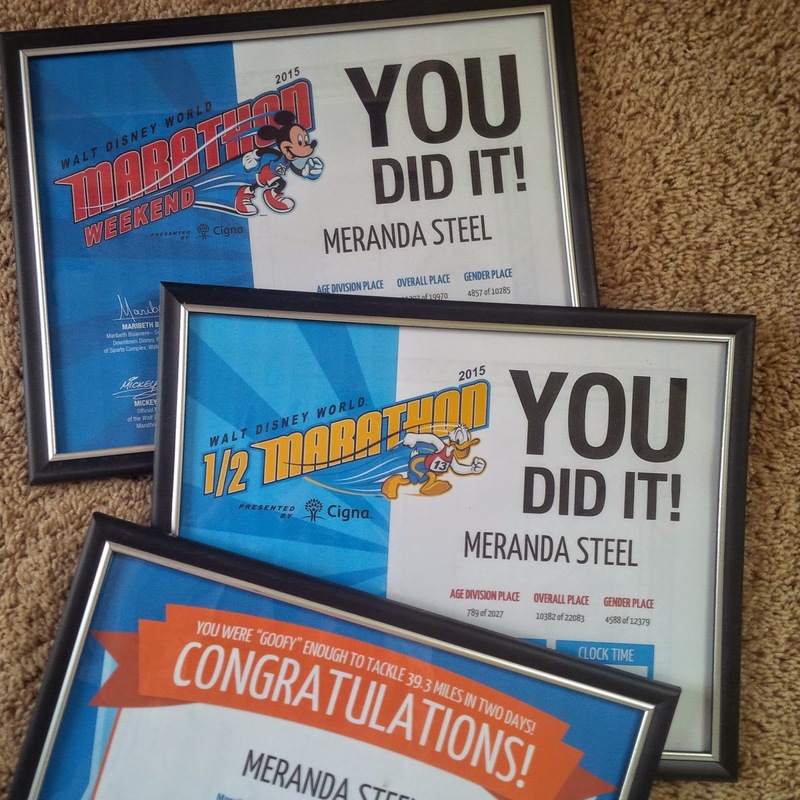 I promptly printed all three of mine out ( Half Marathon, Marathon, and Goofy Challenge) and framed them. As I was putting the half marathon certificate in the frame I thought "Do I really want to hang this one up?" After all, it was my slowest half marathon finish time to date. Was I really proud of that? Did I really want to display that? My final answer was YES. I know this sounds funny, but even though this was my slowest half, it is the one I am most proud of. I am even more proud of this one than I am of the half marathon I ran in Las Vegas where I actually PR-ed by 20 minutes! I am proud of this Disney half because I can't believe the strength that it took me to get through it. I am proud of this half because I did it as part of the Goofy Challenge ( which was running a marathon the next day, so of course I wouldn't be expecting a PR even if I wasn't injured). Also I am proud of this half because even though it is my slowest to date, it was still only 2 minutes slower than my last slowest. I am proud of my time considering how much pain I was in. Have you struggled with a race that ended being one that you were most proud of? Although it is definitely nice to finish a race with ease, that is exactly how I felt Becky! Oh yes, I've struggled! It makes us who we are. It can humble us, but also gives us that desire to keep working. I'm so glad you own it! Those races were amazing achievements. Yes, I'm beginning to think every race has its own story! All I can say is YOU DID IT!!!! You are awesome... look at all you accomplished ... on a bad knee... no feeling bad about times for you lady! YOU ARE AMAZING!!!!!!!! YOU are amazing Rebecca Jo! I love following your journey! I hated my time last year, but when I realized so many elements were against me, and I still finished, that's my biggest achievement so far. I know it's all about finishing! Love this message! I still struggle with my first marathon time. It definitely wasn't the time that I trained and hoped for but I pushed through an injury and finished. I will always be proud of that! That is exactly how I feel too Courtney! I'm not loving my marathon time but I am still proud of that one too! Congrats to you!! My time for my first 5K was awful but I was so proud of myself for having completed the run. It was a huge achievement for me as a new runner. Yes, that is still more than many people accomplish! I completely agree with that! Someone asked why I engrave my medals with my time, even the bad ones, each one is an accomplishment that many do not even attempt to try. Crossing the finish line in any race, no matter the time or length is a great accomplishment. I agree with you completely. Besides, it's YOUR time, not theirs. Engrave away!!!!!!! Well said, Meranda! Its nearly impossible to PR every single race, but getting across the finish line is always an accomplishment. I knew it wasn't going to be a PR for sure. Maybe next time? Time is not always a measure of how good your race was. This holds especially true of Disney races with so much going on. Its not the Half perse, it was part of a bigger challenge which you accomplished. Own it indeed! I would never expect a PR at a Disney race anyway. I guess going into a Disney race you kind of have to be in a different mind set to begin with. And yes, it was all about the challenge! You should be proud of every race! My quintessential bad race was last summer's Zooma half. I died in the humidity. But a friend came back to get me and wouldn't let me quit. I call that a win! I have learned to call every race where I start and finish a win! This is a great message. I agree that every race is something to be proud of, even the ones where the time isn't what you hoped for. After all, there is a reason for that time whether it is injury, helping a friend, or other struggles. Every race day is not going to be your best and you are right to be proud of all finish lines regardless of your time. My Marine Corps race was not my happiest, but I got over it quickly realizing that many runners would be thrilled with a 4:27 marathon! Keeping it in perspective is the most important thing. I think every race you finish is still worth celebrating even if it wasn't your best or fastest. I mean, how many people actually get their butts out of bed to run half marathons and marathons anyway? Races that really challenge me physically and mentally are the ones that I am most proud of. But I think we should be proud of all of our race accomplishments. We work hard!! ive definitely struggled but those are the ones I am most proud of. Even though my times during Dopey are nothing to write home about (my half time is over an hour longer than my PR), I finished the weekend feeling fantastic and the best pictures I could ever dream of! Not to mention, I was able to go back home and do rebel challenge, have a disney PR in the 10k and rock my 3rd fastest disney half time and got amazing pictures again! Love this post! It's so true: every race, and even every time we just get out there for a run, is an accomplishment in itself. I need to remember that! Absolutely! I think I'm most proud of MCM last year....I hated every second of the experience despite coming out with a PR, but I worked so darn hard for it, it made it all that much greater! I struggle all the time with trying to be proud of races where the time is crap... but you have to focus on other positive takeaways. For me, getting out the door to run would be a huge success, so I could focus on that. 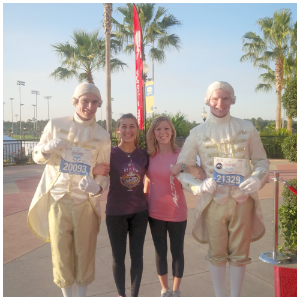 With the Glass Slipper Challenge, both races were very slow for me, but I finished the challenge! Something I had never done before! 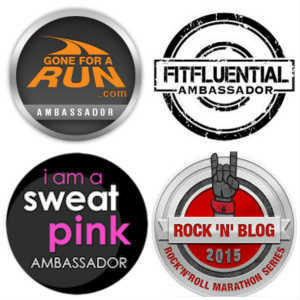 I still celebrate that as my big running accomplishment for 2014. YOU FINISHED GOOFY! That's so dang impressive and was the mission of that weekend. Hang those certificates with wild pride!